Exploring Alaska’s Inside Passage on a small luxury cruise ship with UnCruise Adventure offers an up-close and personal experience that few cruise lines can offer. We loved the intimate setting onboard Safari Quest and the incredible excursions offers by the cruise line. Read all about our experience to see if this brand of small ship cruising is for you. When we were invited on the UnCruise Adventures cruise ship, Safari Quest, we couldn’t have imagined what an amazing time we were in for. 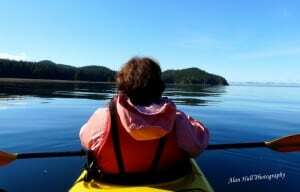 To read about our amazing experience, click on UnCruise Adventures: Intimate Alaska. 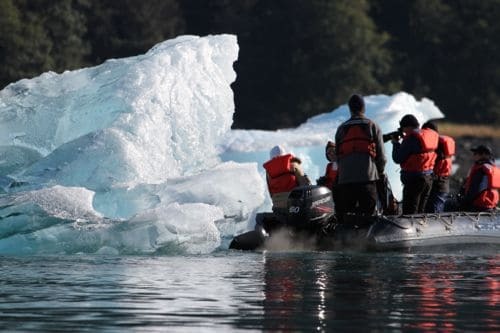 The InnerSea Discoveries cruise in Alaska’s Inside Passage offers an exciting mix of hiking, kayaking, wildlife viewing and photographic opportunities. Read all about our experience by clicking on Cruise Adventure with InnerSea Discoveries. Before we walked up the Safari Quest gangplank in Juneau, InnerSea Discoveries invited us to a behind the scenes tour in Seattle to view the refurbishment of the Wilderness Discoverer. Click on Behind the Scenes at InnerSea Discoveries to read about the experience. Hiking on a Cruise to Alaska? Hiking and cruising aren’t two activities that normally go together, but anything goes on an Innersea Discovery excursion. Click on Hiking on a Cruise to Alaska to read more about our adventure. 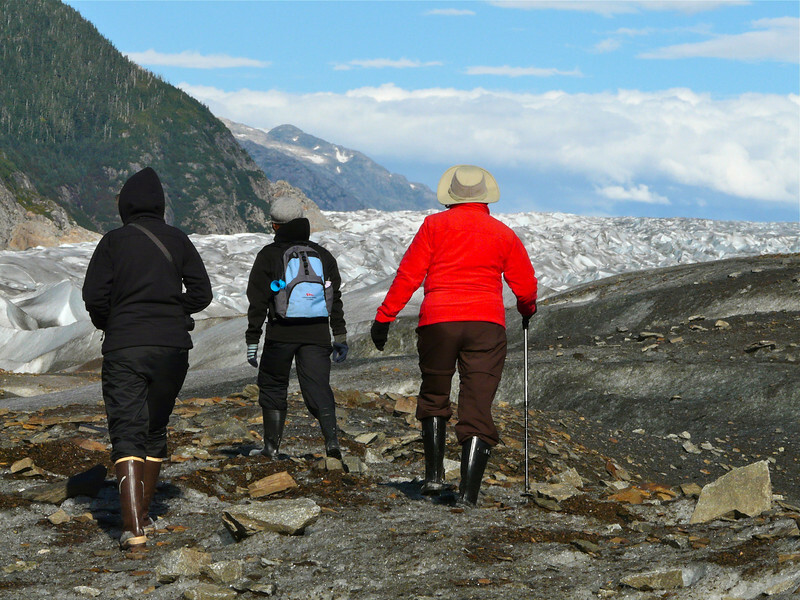 We have had our fair share of glacier encounters, but hiking on Alaska’s Baird Glacier was a fascinating experience. 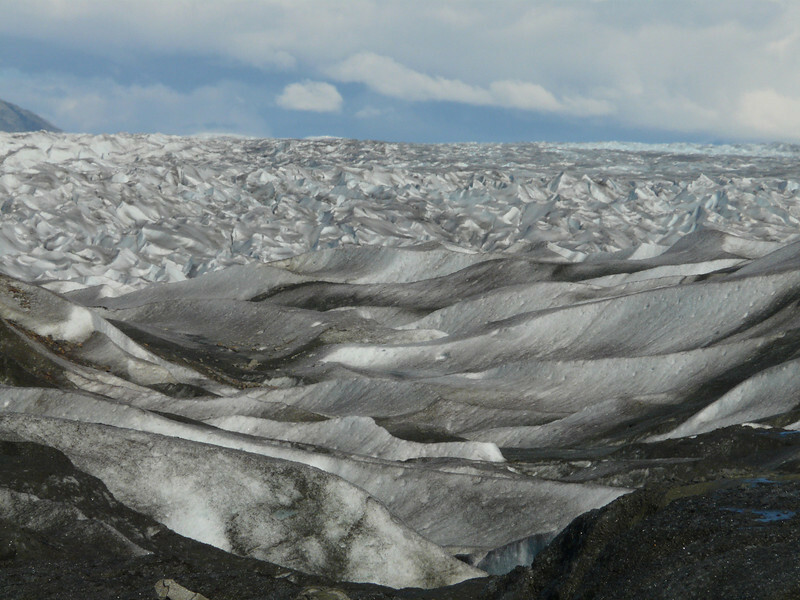 Click on Walking on a Glacier to read more about the experience. It’s almost impossible to describe the scene as our skiff motored in and out of a maze of icebergs on our cruise excursion. 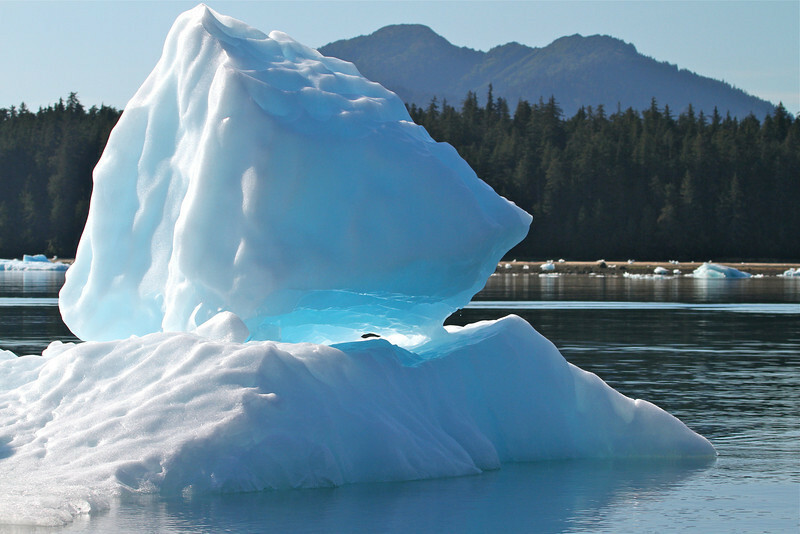 Click on Floating With Icebergs in LeConte Bay to read more about the experience. Would you like to see some of our best photos from our Innersea Cruise through Alaska’s Inside Passage? Click on American Safari Alaska Photos to see some of our best shots!